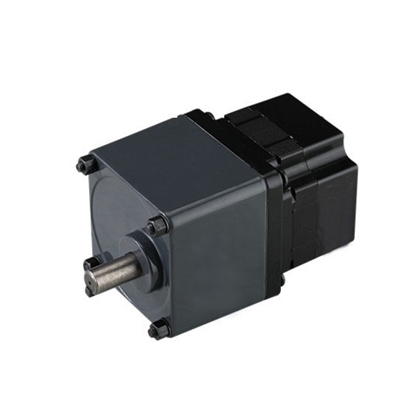 High performance 50W gear motor which consists of a brushless DC motor and 60 mm gearbox, provides 3000 rpm rated speed, 3300 rpm no-load speed, gear ratio available from 3:1 to 200:1, it can operate at 12/24 volt and deliver a peak torque of 0.48 Nm. The DC gear motor with compact size, designed for 12V, 24V or 48V voltage, power up to 200 watt. 3000 rpm rated speed and 0.64 Nm rated torque providing higher performance and more reliable, widely used in various industrial applications. 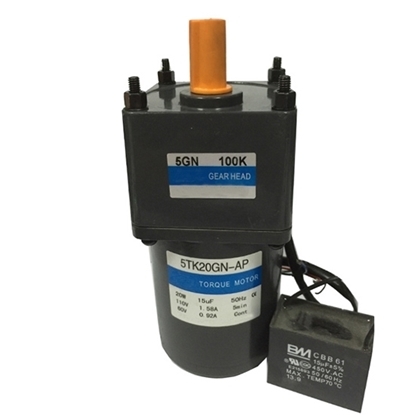 The offered DC gear motor comprises a 300W DC motor and a gear head with gear ratio ranging from 3:1 to 200:1, and rated speed is 3000 rpm, designed to operate with 12V, 24V or 48V voltage. Lower cost DC gear motor is a perfect solution to meet your application requiement. Hot sell DC gear motor which has 450W, 3000 rpm, offers 46.88A current at 12 volt, 23.44A at 48 volt, 11.71A at 48 volt. Rated torque is 1.43 Nm, peak torque up to 4.3 Nm, its compact structure and light weight for you easy to install. Lower cost AC gear motor & torque motor with gearbox, 3, 5, 6...200 21 different kinds of gear ratio for you to choose. It has 20 W power and 1350 rpm rated speed, works at 110V/ 220V AC single phase voltage. The torque and speed can be adjusted by changing the voltage of the motor because of the large starting torque. ATO good quality DC gear motor is available in 12V, 24V DC voltage, up to 50 watt power, provides high torque at low speed. 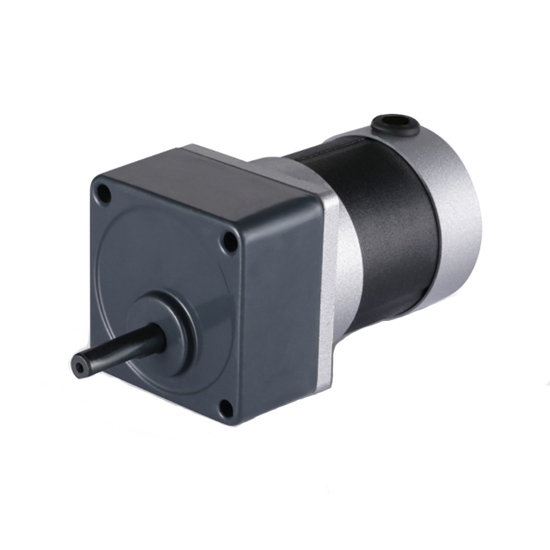 The DC brushless motor has rated speed of 3000 rpm and rated torque of 0.16 Nm, the 60 mm gearbox has a peak torque of 3 Nm. *Motor length, power, voltage and speed can be customized according to your requirements under the allowed circumstance of adoptable dimension. *The values colored "Red" indicate that the gear head and the DC motor are running in the same direction, and the other values are in the opposite direction. *When it is desired to reduce the speed further than the gear ratio in the table above, an intermediate speed reducer with a gear ratio of 10 can be installed between the motor and the gear head. Installation and operation of the machine contains a certain risk, then what should we pay attention to when installing and operating the gear motor? The gear motor should be protected from shock during the installation process. When installing parts on the output shaft of the gear motor, it’s not allowed to knock or press directly on the output shaft. The wires shall be straight rather than curved, so as to avoid the poor conductivity in the gear motor. It’s not allowed to rotate the gear box forcefully from the output shaft, otherwise the gears may be damaged. When fixing transmission structures on the output shaft of the gear motor with binders, the bearing can not be pasted. When installing a circular gear motor or planetary gear motor, the length of mounting screw shall be controlled, over length screw may damage the parts in the gear motor.